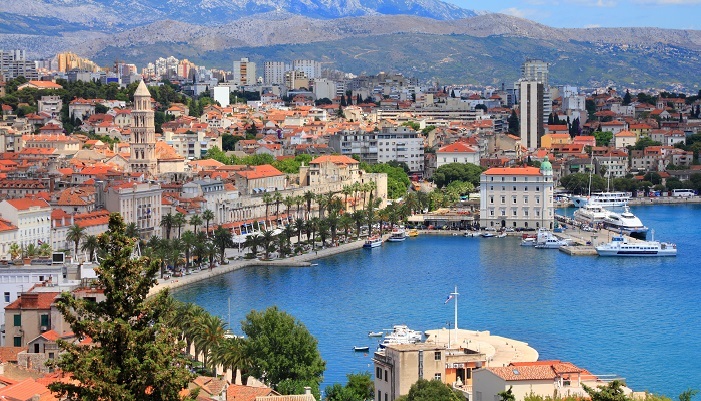 Often called a living museum, Split offers a perfect blend of ancient traditions and modern living. It is the largest city in Dalmatia, and the second largest city in the country. If you want to experience city life in Mediterranean style, this is the place to be. 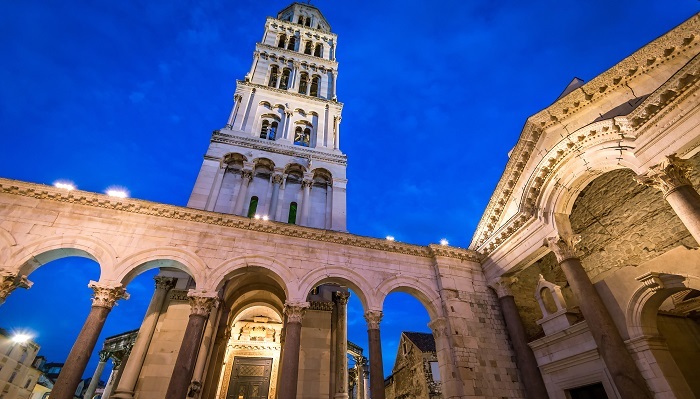 Split is the perfect starting point for a Croatia twin centre holiday, thanks to its interesting mixture of sights and activities for all ages. You may already have heard of the famous Palace of Diocletian, Split’s pride and joy. But this Roman palace is not like most other ancient treasures. There are no opening hours, no entrance fees, no queues and no velvet ropes to stay behind. Why? Because this palace is part of the living and breathing heart of the city. The 30.000m² palace is filled with homes, shops, restaurants and bars. People come and go; from locals grabbing a cup of coffee on one of the squares during their lunch break to tourists wandering through the maze of narrow streets while old ladies hang their laundry from window to window above their heads. Nobody is in a hurry here, except for the early morning visitors to the fish market on Marmontova street, in the heart of the city. Finding the best products, amongst the wide variety of fish and seafood that has been caught the night before, is an important part of the daily routine of many people here. If you want to witness this lively and loud market tradition, you will have to get up early though. This may not be so easy if you have been out the night before, but we don’t blame you, because the nightlife in Split is something you really should not miss. From relaxed sea-side cocktail bars to trendy nightclubs, Split has it all. 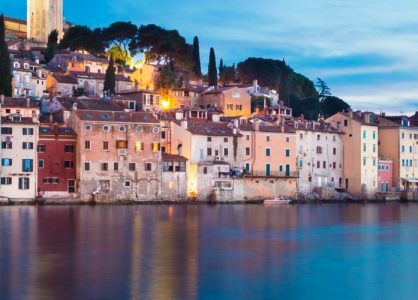 And if you can’t get enough of the warm Dalmatian summer nights, you can continue partying on the lively island of Hvar. 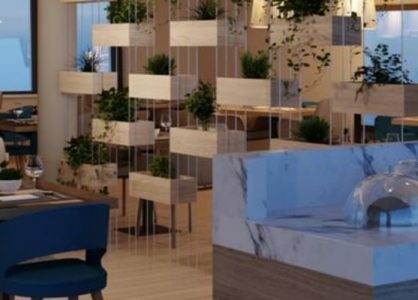 A Split and Hvar twin centre holiday is a great way to experience the best that Central Dalmatia has to offer. 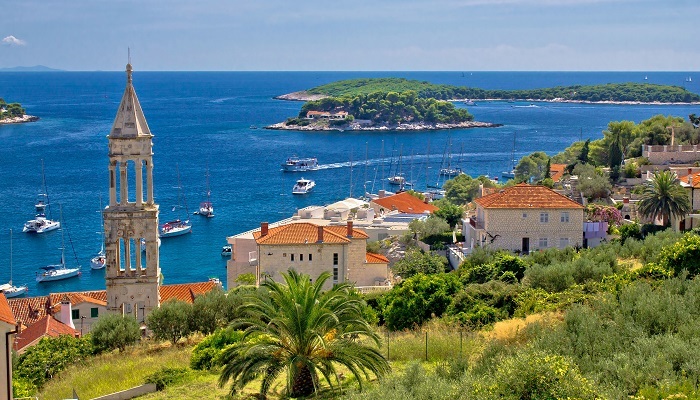 Just a two-hour ferry ride from Split, Hvar is a popular destination for the rich and famous. 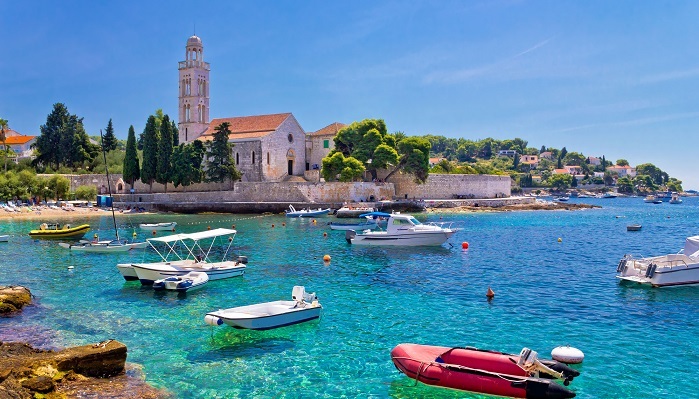 The island’s largest town, Hvar Town, oozes glitz and glamour. This ancient city has a rich history and keeps amazing its visitors with its beautiful buildings and its Mediterranean charm. But there is more to Hvar than a buzzing nightlife and magnificent architecture. You will also find plenty of serene villages, romantic beaches and unspoilt nature on this sunny island. When you arrive in late June or early July, you can see blossoming lavender fields everywhere. Hvar also offers plenty of olive groves and vineyards. Farmers are welcoming and proudly let their visitors taste their best wines and olive oils. And if you haven’t had a chance to try some fresh fish specialties in Split, you can still do so on Hvar. That is the benefit of a twin centre holiday in Croatia. But remember this important Croatian saying: for the best flavor, fish must swim three times, first in the sea, then in olive oil and finally in wine. Luckily, on Hvar, you will not have a problem finding a restaurant that follows this typical Dalmatian culinary tradition.